SAUDI ARABIA. 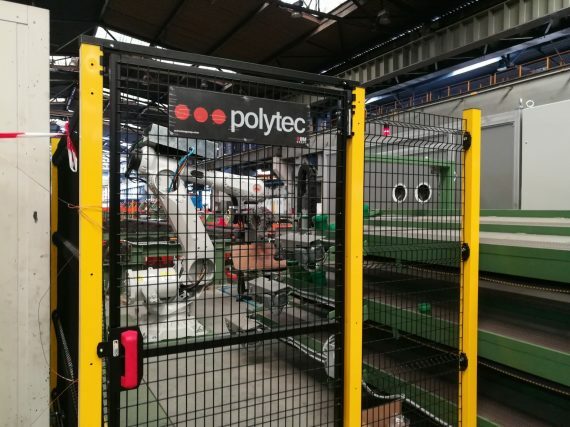 Polytec Robotics is supplying a robot able to grease threads and to automatically applicate the pin and box protectors. PolyPRO is a robotic cell that greases internally and externally the pipe thread before the safety protector screwing in order not to damage the thread. This robot replaces the operators’ difficult work due to the very tight cycle times and weights.